SFA Performance Director Malky Mackay at Braidhurst, one of seven regional Performance Schools operated by the Scottish FA. With Scotland having failed to qualify for a major tournament since the 1998 World Cup in France, football fans are desperate for their heroes to reach either a World Cup or European Championship finals soon. And SFA beaks hope their new initiative Project Brave, recommendations aimed at improving our elite young players through the Club Academy system, can be a step in the right direction towards this. SFA Performance Director Malky Mackay assessed Performance Schools players at Motherwell’s Braidhurst High on Monday morning, his latest stop on a tour around the country. Mackay (45) said: “In my early weeks in the job, I’ve already been struck by the collective passion and willingness to improve: from club chief executives, head coaches, directors of football, players and performance school coaches. “We have a groundswell and it is important that we harness that to improve the next generations of young Scottish players. “It starts here at Performance Schools such as Braidhurst and I am keen that we make that pathway more focused, more productive from the school field to, ultimately, the national stadium. The Tartan Army’s pain about Scotland’s recent failures was exacerbated last summer when Wales, England, Northern Ireland and the Republic of Ireland all qualified for the Euro Finals in France. And the old argument of ‘we can’t compete as we only have a population of five million’ was dispelled by the performances of Wales and Iceland. Despite only having populations of three million and 323,000 respectively, Wales went all the way to the semi-finals before losing to eventual winners Portugal while Iceland defeated England on their way to the last eight. But organisers hope that Project Brave will be a significant step on the way to happier times for us. Joining Malky at the event on Monday were Braidhurst Head Teacher Carolyn Rooney, performance coach Andy Goldie, as well as current and aspiring performance school players. Among them are talented siblings Josh and Joe McPake, S4 and S1 players with Rangers and Motherwell respectively. 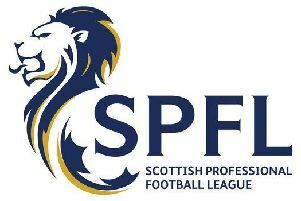 Braidhurst have 50 players in the programme across six clubs – Hamilton, Motherwell, Hibernian, Forth Valley, Rangers and Queen’s Park. Jamie Semple (Motherwell) played in the Victory Shield and scored twice against Wales while Tom Leighton, formerly of Motherwell, has joined Premier League Watford.